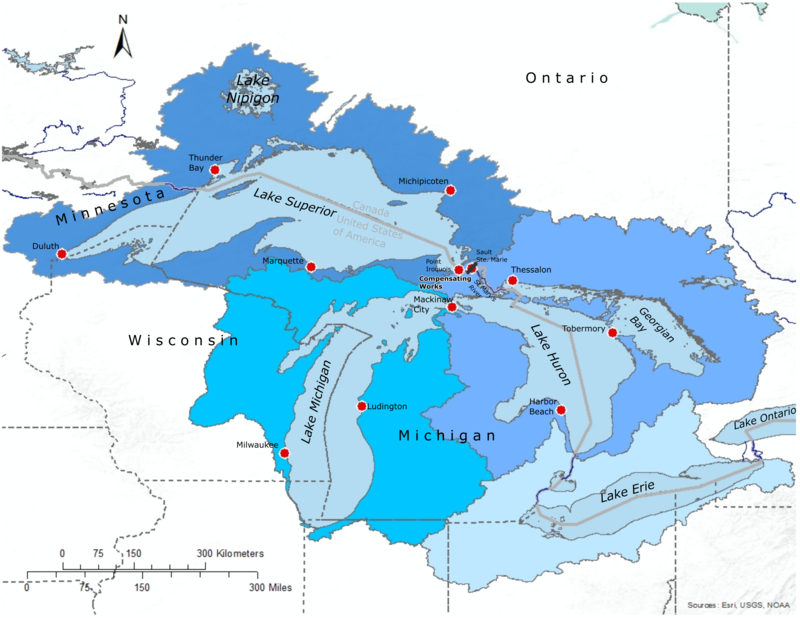 The International Lake Superior Board of Control is responsible for regulating the outflow of Lake Superior and managing the control works on the St. Marys River. The above-average levels coupled with strong winds and waves continue to result in shoreline erosion and coastal damages across the upper Great Lakes system. Very wet conditions continued across the upper Great Lakes basin in February, and water levels of Lake Superior and Lake Michigan-Huron remain well above average.